Of course you do! Who doesn't like Dolphins? 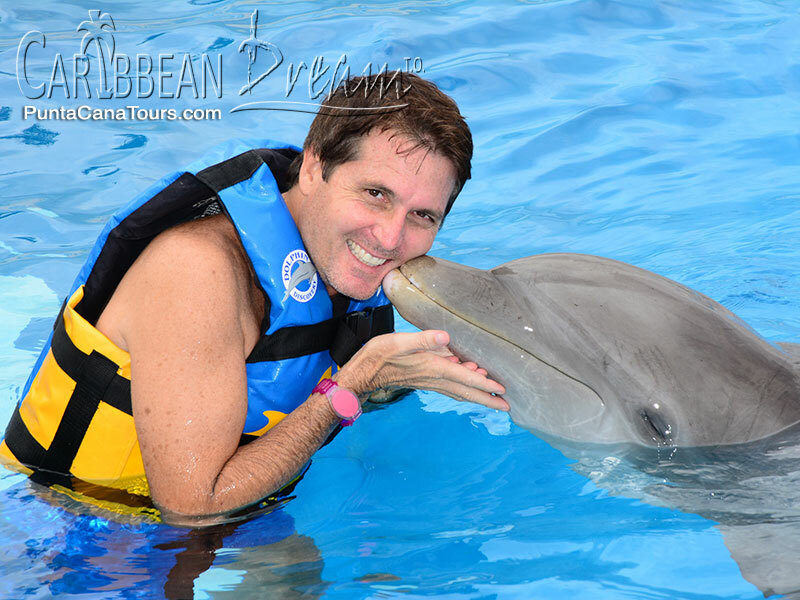 Swimming with Dolphins is one of the most memorable experiences you'll have in this lifetime. The Dolphin's intelligence, beauty and sheer strength is simply awe-inspiring; and our hope is this experience will create a greater appreciation and respect for these majestic marine mammals. 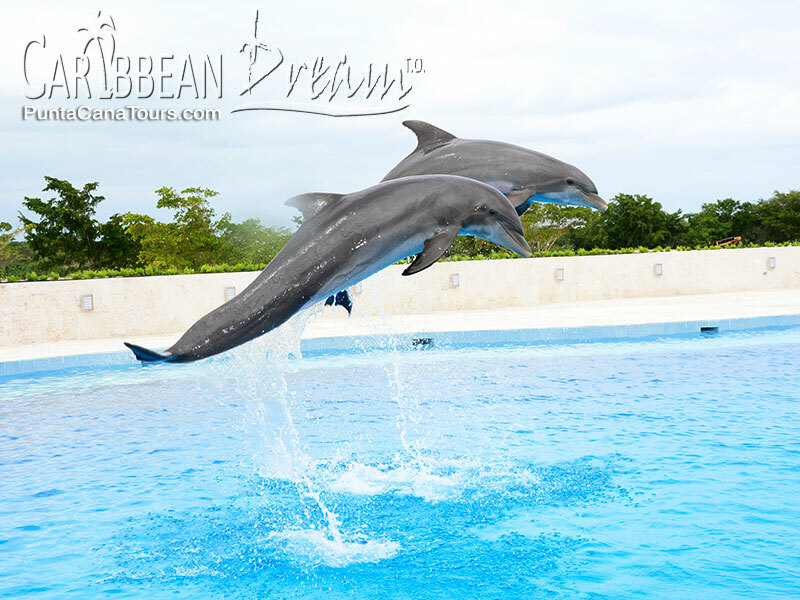 A vast and spacious Dolphinarium is the setting for this exclusive excursion that ensures the most intimate interaction with the Dolphin. Now, hop in the water and don't be scared! 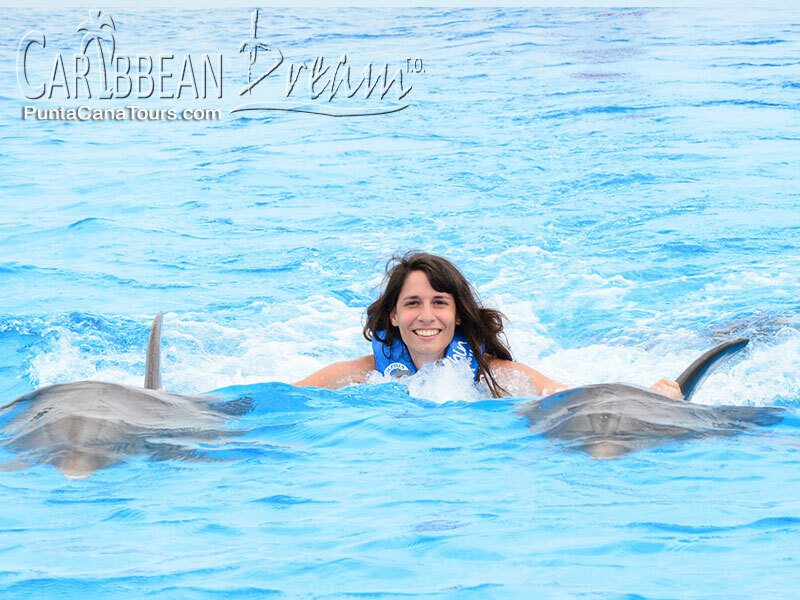 These trained Dolphins are the gentle giants of the sea and the experience is unparalleled. 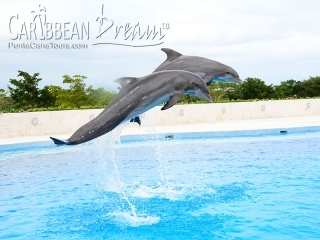 Two Dolphins will interact with your small group of max 10 persons for 60 minutes! And what will you do? Kisses and hugs: You kiss the Dolphin and you get one back - awwww. A dance and a handshake: well not really a handshake but a fin shake! 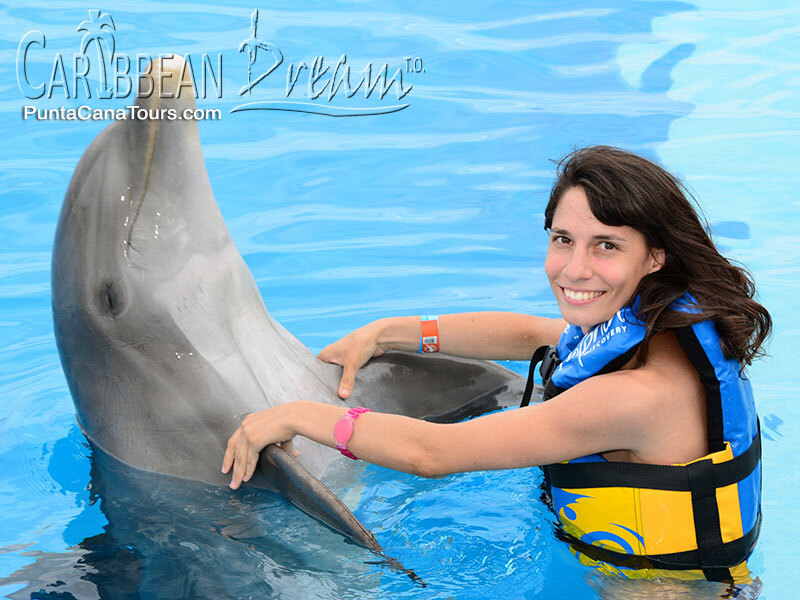 Belly rub: As the dolphins swim by rub their belly! They normally enjoy this part the most. 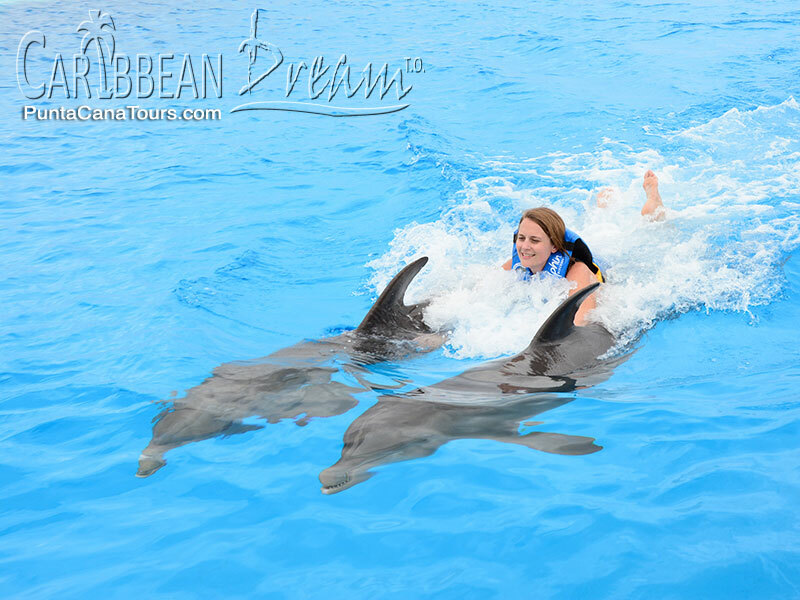 Foot push: Keep your legs straight because this is where two Dolphins (one for each foot) push you through the water. Unforgettable! 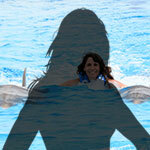 Dorsal Ride: Hold on to the Dolphin's dorsal fin for the ride of your life. Admit it - who hasn't dreamed of doing that? And no need to worry about photos and/or video. Professional photographers are there to capture these incredible moments to help you remember forever! Oh and the crystal clear waters in the Dolphnarium make for amazing photos! 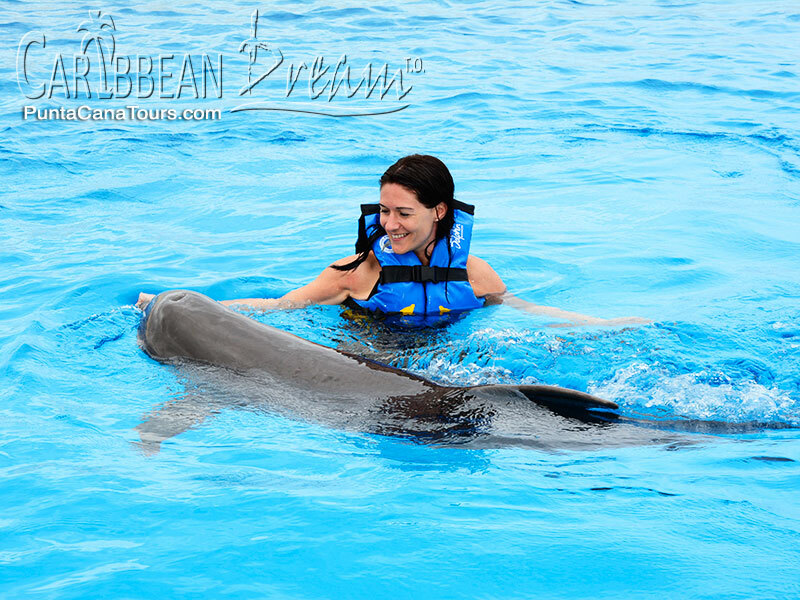 Our Dolphin Swims are intimate excursions with a strict limit on the number of participants. Book your spot in advance to ensure availability. 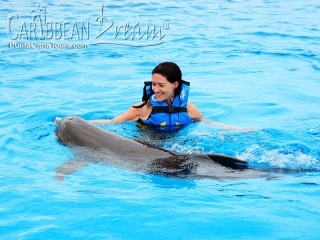 Join us, in Punta Cana, to Swim with Dolphins and garner a greater respect for these intelligent creatures of the sea. 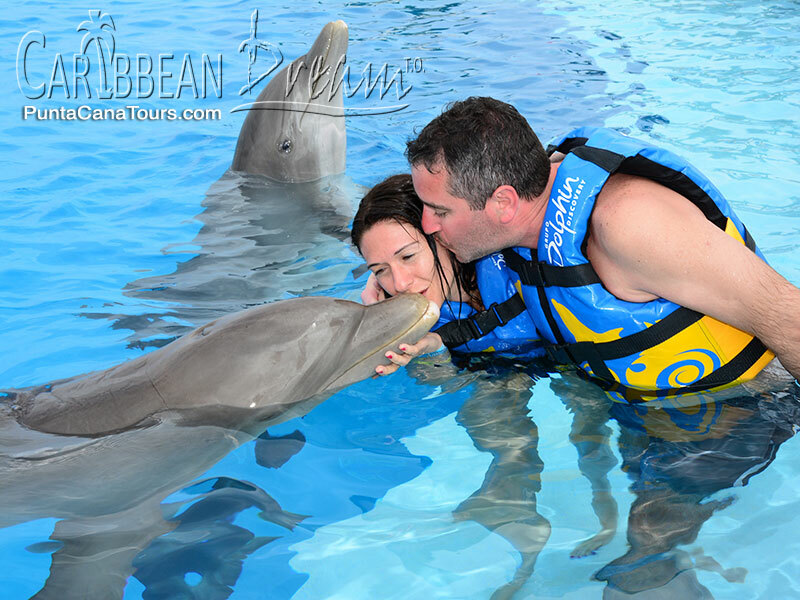 Click Here for an in depth comparison of all the Dolphin Excursions that we offer. 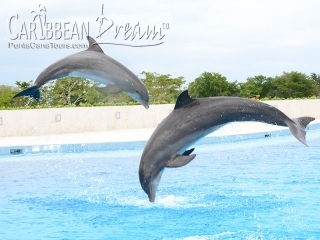 No cameras are allowed in the dolphin area, you may purchase photos and videos separately. Pregnant women may not participate. If you are 13 or older, you must select this option. There will be 2 dolphins per group of 10 people. 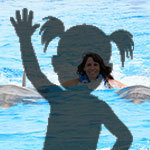 Includes an orientation and 60 minutes interactive swim the dolphins. If you're 6 to 12 years old, and accompanied by an adult, select this option. There will be 2 dolphins per group of 10 people. Includes an orientation and 60 minutes interactive swim with both dolphins. 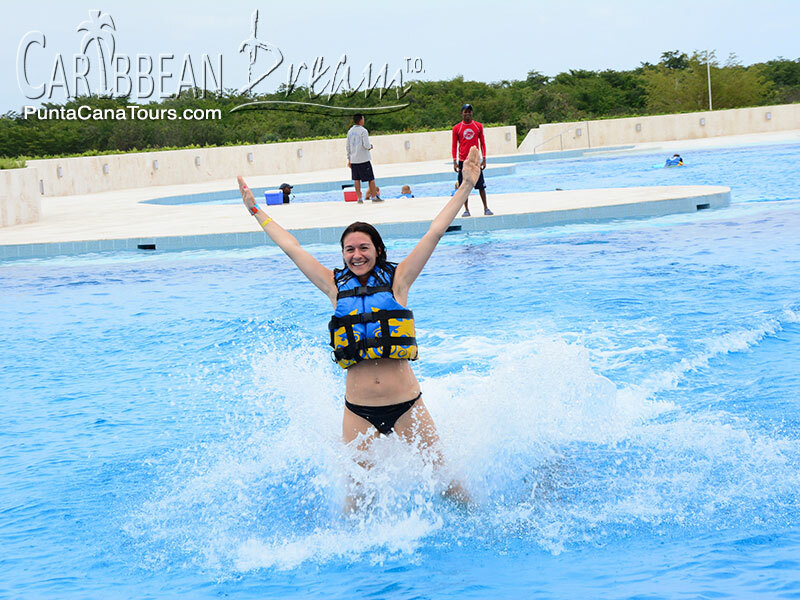 The BEST Part of Punta Cana!!!! Quitting My Day Job to Take Up Surfing! We had an absolute blast at the Macao Buggies excursion!